Welp, the weather is finally warming up which means it's time for spring wear! I'm so excited because this year, I'm trying to get out of my neutral palette and embrace a little color. 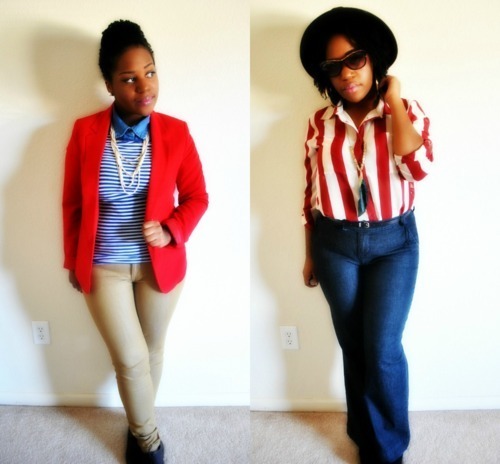 For this collection, I decided to do 3 major trends, showcasing two looks of each trend. 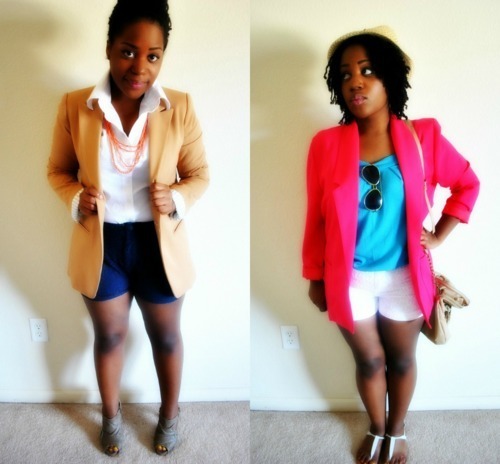 Without further adu, let's get to the looks! Stripes have been in for a while but for the spring, they are in full force. In the first look, I wanted to do something kind of designer inspired. So I'm channeling J. Crew. 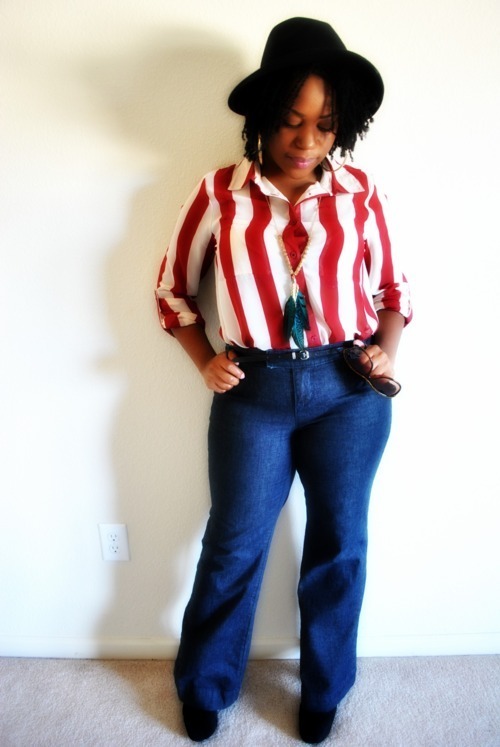 The second look is my nod to the 70s (Also in for the spring), with the wide leg pants, the platform shoes (not shown). 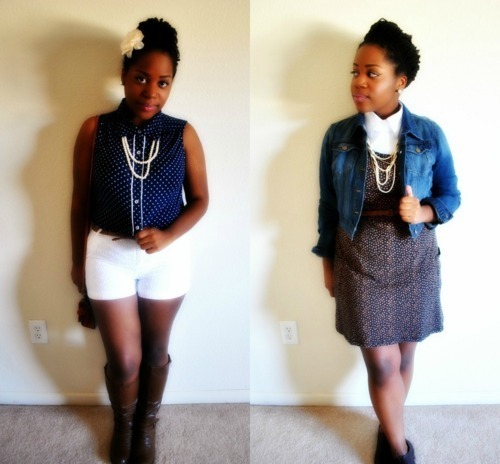 Polka dots are somewhat of a sub trend, I've seen them a lot in print, but sparingly on runways. Either way, I love the fact that they're coming back. This first look has a sort of sweetheart flare to it. 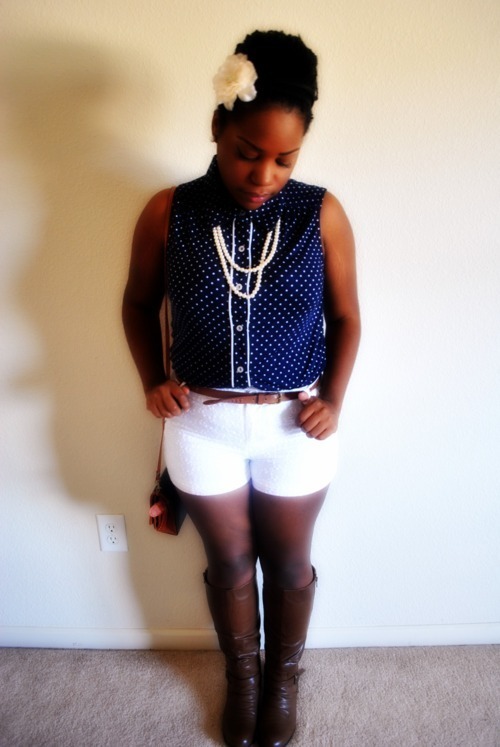 I love pairing navy blue with white. So classic. The second look has a sweetheart flare to it as well. 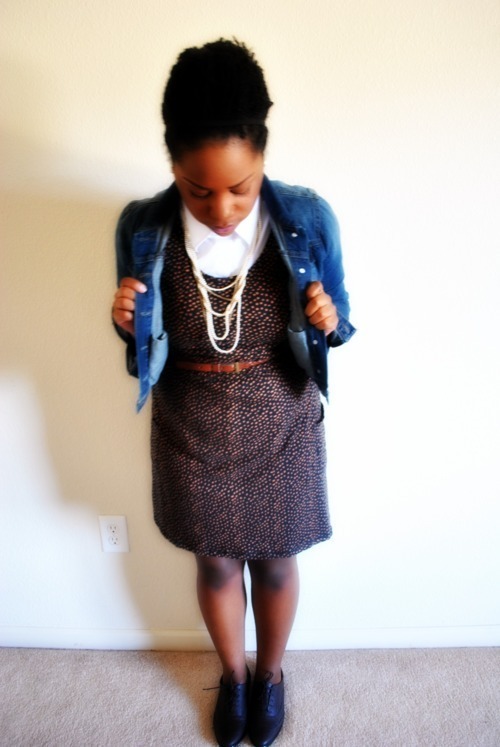 Underneath the dress I put a white button down and topped it all off with denim to give it a causal feel. 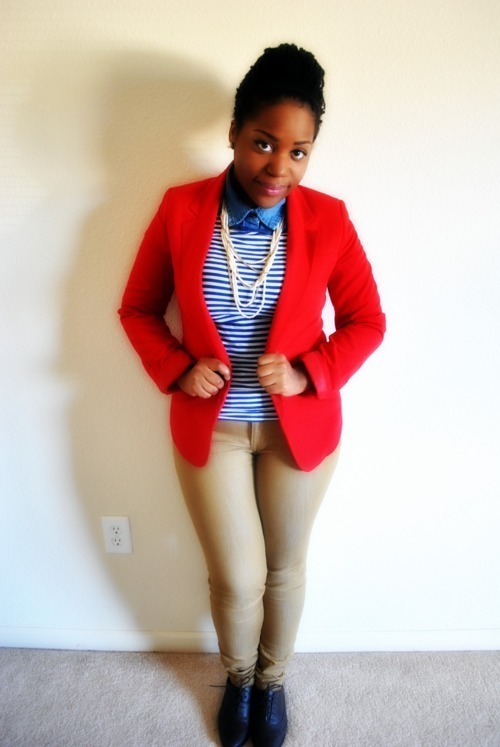 Color blocking. What can I say except it's my FAVORITE TREND happening this season. 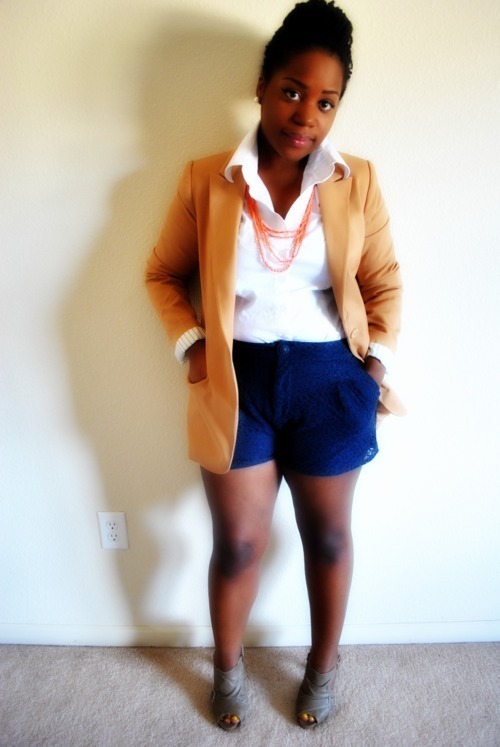 The first look, I wanted to do something "safe" pairing a white button down with navy blue lace shorts and a tan blazer. This is a very classic look. 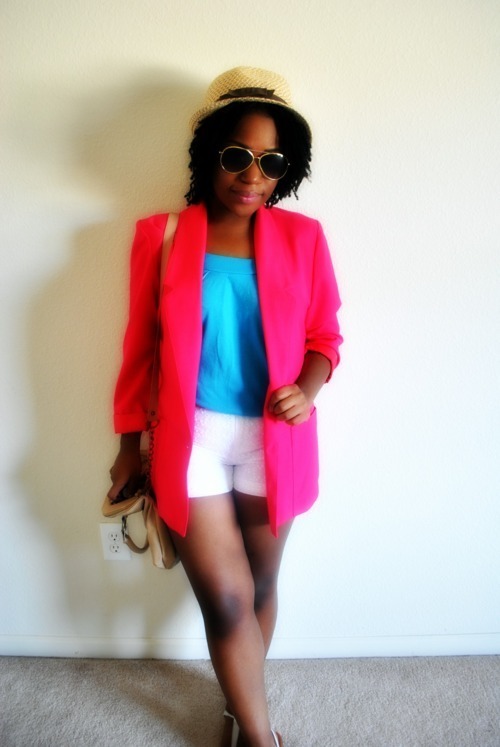 The second look I played with color doing white shorts, turquoise top and a hot pink blazer. All of the outfits I shot, I think this might have been my favorite. I had so much fun putting this together for you guys and I hope there can be some inspiration gained.